Construction spending was up in 2018 and it was also a record year for venture funding in construction tech startups. On the strength of the growing stats, builders and contractors want to keep up with the latest construction industry trends so that they can also stay ahead of the competition in 2019. 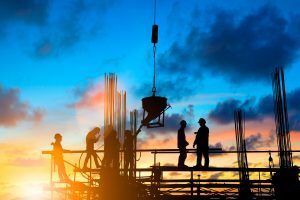 Here are some trends that could affect how to conduct construction business in 2019 to be successful and profitable. When linked to a special mobile software, drones can provide even more opportunities. This year LAANC (Low Altitude Authorization and Notification Capability) opened up 99% of US airspace to drones. Construction is one of the world economy’s largest sectors. According to a McKinsey & Co. report, under economic strains, it’s all the most important for the construction industry to clamp down on inefficiency and improve productivity levels. Lean building is a solution, which allows eliminating waste in all construction fields, and contributes to rational and productive business. For example, avoidance of excess materials and overlapping in a workflow, accurate planning and creating strategies, in-time deliveries and decision-making. In a McGraw Hill Construction survey of such companies, 84% reported higher quality projects since transitioning from traditional methods, 80% saw greater customer satisfaction, 77% experienced greater productivity and 77% improved jobsite safety. Mobile software for construction can become a useful assistance in the lean building. 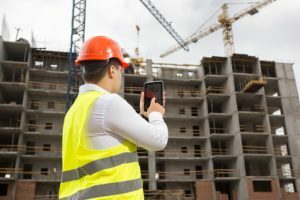 Construction apps contribute to more accurate and timely data, constant communication between different construction departments, efficient management, tracking, inspection and more. From year to year, eco-friendly trend is becoming more and more popular in construction industry. There are some points to pay special attention in 2019. Energy efficiency is one of them. Energy-efficient buildings of course, include solar panels and batteries. Moreover, modern building developers prefer super-insulating materials and smart energy systems, which contribute to secure energy supply while reducing carbon emissions. Construction specialists predict the rise of such sustainable energy sources in construction as biogas, wind energy, and geothermal energy. Eco-friendly concrete is a mandatory component of successful construction company in 2019. Concrete manufactured from glass, paper, and foam is used as a substitute for traditional concrete. Since concrete is the most widely consumed material in the construction industry, this accounts for a whopping 9.5% of global emissions. Also concrete requires constant costly maintenance and repairs. This way, the innovative self-healing concrete is helpful for the environment as well as for the economy. Now some construction companies have an interest to such materials as recycled plastic, wood, mycelium, hempcrete, etc. 2019 will provide even more eco-friendly solutions and strengthen their use. Field service organizations are constantly searching for ways to make their staff more efficient, provide better service to their customers and increase profits. This way, they have begun to recognize the importance of integrating mobility solutions into their workflow. Mobility allows field-based companies, such as HVAC, construction, utility, plumbing, property management, etc. to improve communications and provide accurate, timely data and fast response. Moreover, mobile technology enables extending work with data beyond the confinement of the office. Lack of real-time information is one of the main issues, modern field service organizations face with. Task assigning, reporting of their statuses and any troubles, various assignments and changes need a constant link between the field and management department. Mobile technology provides constant communication as well as the optimization of the data transfer. Modern field service mobile apps allow users to assign tasks, collect data, generate various reports and more right on a smartphone from anywhere. All data can be synced and instantly shared. It contributes to the timely, accurate and current data, and consequently influences the whole workflow and its productivity. Various equipment is a part of daily operations of field service organizations. Its proper working condition needs constant maintenance. Special field service mobile apps allows workers to conduct fast and convenient equipment inspections right at the jobsite. Instant getting and orderly storage of inspection data contribute to the streamlined and safety workflow. Customer demand and expectation makes the future of your company. Due to field service mobile apps, workers have the ability to respond to assigned tasks promptly, solve issues and perform tasks on time. These significantly improve the customer experience and satisfaction. The technicians with mobile devices and special smart software are viewed as more professional and reliable by customers. This way, besides the ability to improve and optimize various work activities, field service mobile apps contribute to attraction of more customers and, consequently, increase of the revenue. Technology is imperative for companies to develop and rise their success. Snappii, a mobile business app development company, offers the foundation for growth to any field service businesses. We provide powerful and multifunctional mobile solutions for different field service businesses. Contact us before adopting a field service mobility solution for your organization, and we will advise the best way specifically for your organization. You can start from our ready-made solutions and request their customization if necessary, or we will create your personal field service mobile app from scratch. Snappii provides the final product in weeks, not months. We save your time and money. Start getting efficient from each work operation. As mobile technology advances, it is natural that all main industries try to get advantages of mobile apps. This way, it’s become essential for HVAC organizations to utilize multiple apps, especially in the fieldwork. With the right HVAC app, a company can significantly enhance its output, eliminating extra operations and costs. HVAC companies face a high amount of work orders and need a powerful tool to process this data. 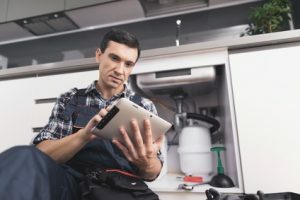 Due to the fact that the most work of any HVAC business is done in the field, mobile HVAC apps are the best solution for quick and easy work with data on-the-go. Registration, assigning and tracking of work orders become much easier and are available for any field specialist with a smartphone. 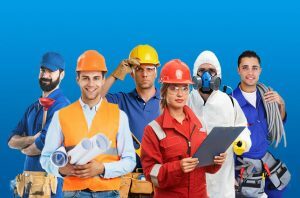 Also, field technicians can modify an existing work order at any time and instantly notify other employees, managers or the clients themselves. They will not miss any changes and all actions will be safely stored in the app. Daily reports are an indicator of efficiency of both each individual employee and a whole business. 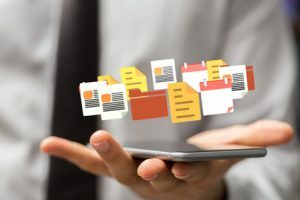 The time, technicians spent filling out paperwork, processing data and transferring it to the office is a critical metric that can impact the efficiency. HVAC apps provide a new way of reporting, which help save time, efforts and as a result – increase productivity. Thanks to digital forms, data collection is a process of several minutes and can be done right at the jobsite. Moreover, employees themselves are able to generate complete professional reports with timely data right at their smartphone. 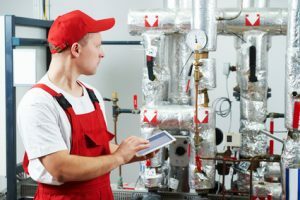 Inspections play quite an important role in HVAC business. It can be an inspection of work quality, regular equipment inspection, workplace safety inspection, etc. HVAC apps are an inalienable assistant in various inspections in the field. Control of regularity and constant notifications allow conducting timely inspections, avoid issues and keep the documentation in order. 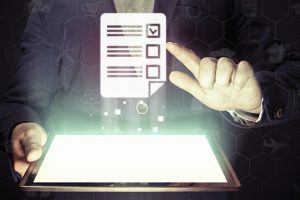 Snappii, a leading business apps provider, offers a ready-made HVAC Inspection Checklist app with all primary features for quick and qualified inspections. If you need additional functions, you can send us your requirements and we will add them to the app. Also, your personal inspection forms can be instantly converted to HVAC Inspection app from Snappii. Download and try the app here. You already own the main tool to optimize your HVAC business. All you need is just install a HVAC app at your smartphone. Can’t find an appropriate app in the market? Contact Snappii and get a custom HVAC app specifically developed for you and in accordance with your personal needs. We develop the apps from scratch in a few weeks not months. You will be involved in a whole development process and we will try to meet any of your requirements. Thousands of companies in such industries as construction, transportation and logistics, vehicle and fleet management, field service have already benefited from Snappii apps. Find more information about custom mobile app development here. It’s your time to go digital. During construction or repairing of a building, many necessary constant inspections are conducted. 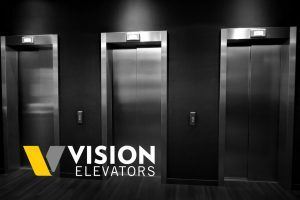 Frequently, performing inspections was a real pressure for construction teams and inspectors. Stacks of paperwork, constant trips between the jobsite and the office, constant recheck of the reports, etc., make inspections a process of a huge amount of time, efforts and money. Nowadays the time-intensive task of work with field data has been solved by a smartphone with mobile inspection app and ready-made mobile forms. Mobile inspection apps provide specialists with all the necessary tools to ensure that the project is completed on time and on budget, and meets the regulations. They reduce the risks and contribute more efficient workflow. Let’s consider some inspection apps in details and learn what benefits they offer to the construction companies. Snappii is an expert in the mobile business app industry for about 7 years. Realizing that paper is the main cornerstone of construction inspections, we have converted inspection paper forms into the digital format and placed them into the powerful inspection apps. First of all, we want to introduce you the Universal Building Inspection app. This app is ideal to perform the inspections for fire prevention, safety, maintenance, storage, occupancy and more. It covers both exterior and interior building inspections and helps to ensure that building systems are in a fair condition. Mobile forms of Universal Building Inspection app include building location, date of last inspection, electrical systems checklist, heating systems checklist, air conditioning, private protections, emergency evacuation and more. The app allows its users to capture photos and add signatures, images and GPS locations. All the forms can be instantly filled in and generated into the professional reports. Just imagine what amount of paperwork can be replaced by this single building inspection app. The detailed records of inspections are always at your hand and safely stored at your mobile device or cloud drives. Quality Inspection app from Snappii is the indispensable helper in providing control under necessary safety actions, quality of work, types of materials and involved workers. Inspectors can easily collect project details even in the field, calculate working hours, create reports and more. This simple inspection app will help keep everything under control and optimize work in the field. Maintenance of the construction equipment is an essential process in the construction industry. Taking the paper out of it can significantly influence the whole construction workflow. Snappii offers easy-to-use Construction Equipment Inspection app with checklists for detailed inspections of all types and parts of the equipment. Ensure safety and avoid accidents, keep machines in working order, create the reports and notify site management staff of equipment status. Snappii offers a 100% customization of its apps. You can add your own PDF forms and some additional features to meet your specific requirements. If you need a completely custom app personally for your company, Snappii team can create the powerful, feature-rich app in a few weeks. It’s time to make the construction inspections easier and faster. Conveniently perform all types of inspections using any mobile device and one of the inspection apps from Snappii. Find more apps here. The rapid proliferation of corporate mobile devices in businesses means a tremendous increase of enterprise mobile apps. 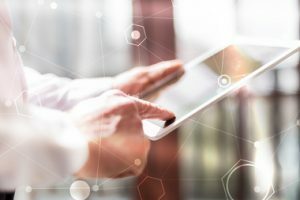 According to the analytics firm Appdexa, 69% of companies are using more than one enterprise app for managing their businesses, and enterprise mobile app revenue is expected to reach $430 billion by 2021. Obviously, enterprise mobile apps have different purposes from the consumer apps but there is one common goal: to provide an engaging experience that will improve a certain process. Let’s consider how modern enterprise apps can achieve this and what other benefits they can provide to the businesses. First of all, enterprises need a tool to work with data. This way, the primary task of enterprise mobile apps is to provide the opportunity to easily collect and process any data on-the-go. Fortunately, nowadays users can fill in ready-made mobile forms in seconds right at their smartphone. No need to carry paper forms and bulky laptops. Moreover, mobile forms allow to capture images, geolocation, signatures and more. Gathering the information with mobile forms and enterprise apps makes the work faster. Employees don’t have to drive to the office with paper forms for further processing and creation of the reports. They are able to create high-grade reports in the app and instantly send them to the managers or other specialists. Snappii is a leader in enterprise apps as well as a powerful form converter. Our unique solution is the opportunity to use the existing PDF forms and convert them into the mobile form apps. 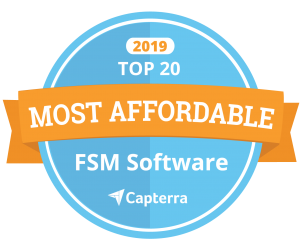 The rich set of features, from simple textboxes to the multi-choice and multimedia fields, makes Snappii the #1 form creator. Anyone can create its own mobile form with a free trial using Snappii Form Converter. Customization is also the key for enterprise apps. Every business is wholly unique as well as each of its departments. Custom enterprise apps should meet specific needs of a given business. The problem is that usually the ready-made business apps in the stores offer a rather general set of features. And the custom app development is traditionally considered as something cosmically expensive and available only for huge corporations. Thanks to the modern rapid app creation platforms like Snappii, app builders can create the experienced custom apps in days without special programming skills. The speed and lack of extra efforts make such enterprise apps available for any business even without a huge budget. Snappii customers even can create the apps themselves using Snappii App Builder with a simple drag and drop technique, a set of powerful functions and helpful free resources. This solution is proved with over 26,000 apps in over 7 years. Now you know the two main distinctive features of the enterprise mobile apps. Certainly, there are many different types of such apps, for example, these apps may include management, payment, tracking and other systems. You can find the best ready-made and 100% customizable enterprise apps here. Mobilize your business right now. Today right mobile solutions can provide 25-30% growth for businesses. Mobile management tools contribute a boost of efficiency and speed up the workflow. Everything starts from day-to-day tasks. Let’s consider how usual daily processes can be improved and accelerated by mobile management apps. The project is a team effort with a lot of tasks and a looming deadline. Managers should assign tasks to different field specialists, track the status and instantly change them or add something on-the-go. Mobile management apps allow managers to create tasks and assign them to particular employees right at their smartphones at any time. It is the best way to keep all the details like location and photos. For example, Snappii offers Work Order Assigner app, with which managers can assign tasks and track their progress, and which also allows employees to notify managers when the task is completed. The app significantly accelerates the workflow, connecting managers and in-field personnel. One more powerful management app to work with tasks is Task Manager. Users can create a database of employees and tasks for quick and easy work. It is the best way to complete tasks directly from your mobile device. More specific management apps allow focusing on separate tasks. For example, Billable Hours Tracker from Snappii helps to bill time accurately and effectively. Managers can track billable hours, automatically calculate earnings, create invoices and more. It’s a helpful tool if you want to save money of your business and make it more productive. Each project starts from job estimation. A special estimation app, like Snappii’s Job Estimator, can help to collect as basic data, so specific details of the job, quantify labor, parts, materials and equipment and create the reports. It’s an essential tool for management, which influences the further revenue. One more management app we want to offer you today is Invoice Assistant app. Invoicing is one of the most important aspects of the company’s financial policy and extremely important task for managers. Producing professional, timely invoices for customers will ensure that the company makes a positive impression, and enables to maintain a firm grip on the financial state of the business. Invoice Assistant app allows managers to easily and quickly create, edit, email and print invoices, digitally sign invoices, keep a database of completed invoices and more. Need more specific management apps for your business? Improve the efficiency and reliability of the in-site technicians with these management apps. Here you can find more ready-made apps to manage your field employees. All Snappii apps are 100% customizable and can be modified for specific needs. Just send us your requirements and let’s discuss the work. A significant number of happy customers agree on Snappii’s high professionalism and real benefits it can bring to your business. Don’t waste time. Provide the benefits to your in-site technicians and boost the productivity of your business right today! “The main idea for the application was to use webservices to provide the app with the required information for the infield users direct from the ERP system and then allow the infield users to complete additional information on the app and feed this back immediately to the ERP system direct from their mobile devices. 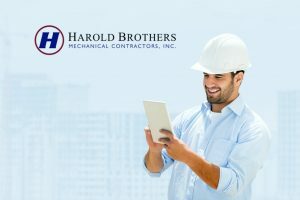 Read how Harold Brothers Mechanical contractors in MASS improved project documentation and went paperless. “The business challenge was lack of good project documentation. Without it, it is hard to prove in court what was or was not done and what Harold Brothers delivered. Documentation is also needed to prove to clients why something was not done as agreed. For example, the client or the site was not ready when Harold Brothers’ people show up. Good documentation is also critical for planning how to deploy crew members on various projects. Biggest challenge is training especially for seasoned Foremen. To over come we did extra training. There is a large amount of Foremen in the field who are doing the Daily Reports. Harold Bros has a substantial amount of people working in the field and about 40 in the office. I personally manage all of the Outside projects at one time. “The main idea for the application was to convert our existing paper forms we use on a daily basis. We needed to organize Timesheets, Pipe test reports, HVAC and Plumbing sheets, as well as track job on site daily reports. “We’re really happy with the progress. The app has been published privately and shared among specific list of people. The app has user-based access. Now it literary takes a few minutes to fill out the report, sign and send it. We receive a convenient PDF output that’s stored in the app and also can be shared via email, cloud drives and printed, if needed. Snappii’s QA team used some automated and manual tests on performance and troubleshooting and found the app to be stable. I can’t blame them for any issues because it’s up and running. I’m sure it will work fine moving forward.